Baldness can begin at various stages for men and may result from genetics, stress, medical conditions, or other reasons. The symptoms of hair loss can begin with men as early as age 25, with noticeable thinness and shedding occurring thereafter. 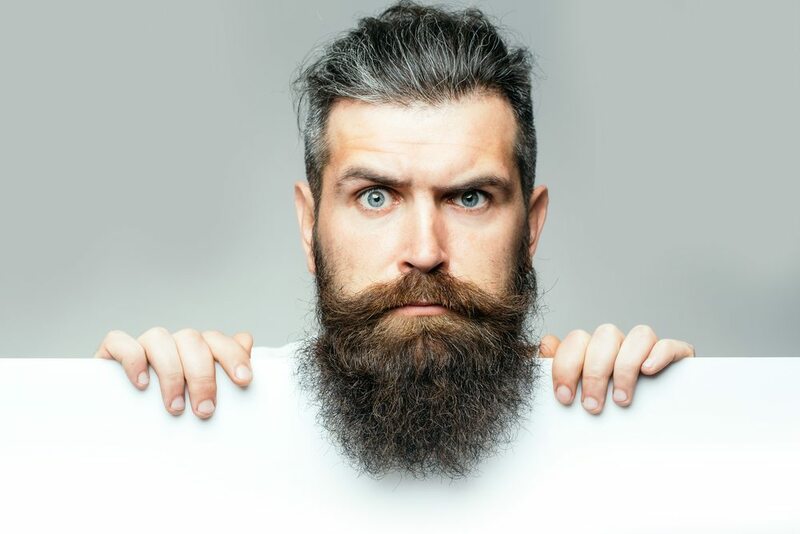 Typical male pattern baldness is a common condition, but that fact does not make those who suffer with the dilemma feel better about their situation. Luckily, modern scientific advancements have provided several different solutions to the challenges of hair loss. Solutions for men who are experiencing the effects of thinning hair or actual hair loss may include hair loss concealers or hair grafting processes. Even electrotherapy and acupuncture have made claims to product results of curbing hair loss among men and women. Choosing the right method of treatment for thinning hair or balding is a personal preference that should be made after learning about various treatment options as well as the cost and commitment involved with each. Hair loss concealers may be the best marketed and most readily available method for most men, but they are certainly not the only selection to be found. Two of the most common approaches to combatting male baldness are hair concealers and hair fibers. Each works using a slightly different method but the end result is to cover or make less noticeable the effects of hair loss by covering the exposed scalp with a substance that is meant to resemble natural hair. These products can be used alone or as part of an overall treatment plan for thinning hair or a hair restoration program. Hair loss concealers are colored powder or aerosol or non-aerosol sprays that are applied directly to the scalp. Depending on the need, these products can be used to make bald spots appear less noticeable or disguise the onset of thinning hair. Bald spot concealers are relatively inexpensive and do not all require professional application. Although there is no substantive texture to hair concealers when compared to hair plugs or follicle implants, hair loss concealers are an effective temporary solution. Hair fibers are another popular solution to thinning hair and are among the most commonly used methods of bald spot concealers among men in the United States. Like other hair loss concealers, hair fibers cover thinning hair and provide the illusion of volume in spots that are showing signs of balding. Hair fibers are synthetic proteins that are designed to add texture and the appearance of volume when applied. Many brands choose a product that is pre-charged with static electricity and placed in a pressurized applicator. This processing formula enhances the look and durability of hair fibers, causing the fibers to blend in more naturally with the existing hair. Since bald spot concealers are such a popular choice among men experiencing hair loss, it is no wonder so many different types of hair loss concealers exist on the market today. These products can be used in conjunction with other methods such as nutritional supplements, massage therapy, various homemade remedies and special scalp treatments. Unless a specific manufacturer recommends a particular treatment regiment to include these extras, hair loss concealers do not require any supplemental products or treatments to enhance their effectiveness. Bald spot concealers have advanced over the past two decades and are now long lasting and natural in appearance. The initial options were messy sprays or powders that were difficult to apply and often left behind unsightly stains. They were not temperature resistant and it was difficult to find a reasonable match to your natural shade. Despite the advancements in color change technology, it is important to choose the right product for your needs and the best shade to match your existing hair. Manufacturer recommendations are helpful in establishing a baseline for your general needs, but it is wise to perform some trial and error until you find the perfect bald spot concealers to meet your needs. Although some hair loss concealers label themselves as a universal product for men and women of all hair types, they will not provide the same results for every user. Hair texture is a major concern for users of bald spot concealers or hair fibers. For example, curly hair protrudes from follicles that are different from that of a scalp producing only bone straight hair. This simple but important fact is relevant to shoppers of hair loss concealers for two reasons. The first is that manufacturers who cater to naturally curly or wavy hair have developed products that are not prone to following hair back into the follicles as the hair curls back into itself. This can result in uneven or ineffective applications of hair loss concealers. The second reason to consider products designed for curly or wavy hair is consistent coverage. Because curls extend for the length of the strand, the hairs are actually wavy from root to tip and require product that can adhere to the entire strand in a 360 degree rotation. Shorter wavy or curly hair is not as unforgiving about inconsistent coverage of bald spot concealers as longer strands. Texture is the other prevailing factor on choosing hair loss concealers that are most suitable for your hair type. Course or resistant hair will require a treatment with more stamina than fine or limp hair. Hair that is naturally more resistant to treatments such as coloring, perming or straightening are likely to also be more resistant to hair loss concealers. This is not to say that concealing products will not work for you, but it may require some research and planning beforehand. Virtually every structure of hair possible can be treated for thinness or balding with hair loss concealers. It is just a simple matter of finding the best product for your unique needs, matching your shade and applying the product as directed. While it may seem that choosing a color for hair fibers and concealers would be the easiest part of the process, there are some considerations that could result in less than becoming results if not heeded. A common mistake men make when choosing a hair color is to go with a color they want their to be, not taking into account that hair loss concealers are not meant to be used over the whole head. Since hair color may even be slightly different near the hairline than in the back, it is vital to work with finding a color that will match as closely to the application site as possible. Natural hair fibers vary in color from strand to strand, so it is important to match a color that your hair naturally picks up in natural light. These natural highlights are an especially important consideration for men who spend a lot of time outdoors or otherwise have a great deal of sun exposure. Not all hair loss concealing products will lighten automatically as the natural hair does, so it may be necessary to purchase more than one color to accommodate changing seasons and changing hair colors throughout the year. Men often choose to have a hair care professional apply concealers and hair fibers. Of course, it is much easier to have someone else working in your hair that can see the treatment area from a more global perspective, but that is not always possible. When this outside service is not a viable option, know that applying products for the treatment of hair loss or balding is not difficult and can be done at home by most users. Manufacturers are eager to create products that can be easily applied because limiting consumers, especially men, to salon treatments is not an effective marketing strategy. Whether you are choosing assistance from an expert or attempting to apply concealers or hair fibers on your own, there are some basic tips and hints for easier application. Major providers of concealers such as DermMatch, Toppik, Caboki, and Nor1 offer specific application instructions that are easy to follow and intended for amateur users. Video posts made by the manufacture or actual users may also be helpful for men who choose to apply their own concealers or hair fibers. There are some general guidelines that most application processes require. Simple applications and periodic touchups can be done by brushing product through the hair, similar to the technique used to apply mascara. Even if you have never applied it personally, the motion is a simple one to recognize and duplicate. Soft brushes provide the best overall coverage and should only dab the tender areas of the scalp, not lathering the product or massaging color into the scalp. Spraying hair concealers and dusting colored powders onto the head is a frequent method of applying treatment. This requires a special finesse and may take some adjusting for first time users. The trick is not to hold the spray too close to the treatment area, which can cause too much moisture to adhere to the scalp area, causing an unnatural presentation. Dusting or spraying lightly over the treatment area offers the best and most natural results. Remember that the hair, not the scalp, is the treatment area. Although the product is applied to the scalp directly, the goal is to create a blended look with the surrounding hair. Applying treatment to the hair with fibers is a bit more complicated but certainly manageable for self application. Like other thinning hair concealers, the overall goal is to cover the appearance of balding. After applying a base coat made by the manufacturer, hair fibers can be sprinkled or sprayed on the desired area to provide additional coverage. This is also a popular option for filling in small patches of facial hair or missing hair around and uneven hairline. After sprinkling or spraying the product onto the treatment area, it is necessary to gently pat the area to help with the blending process. Do not rub or massage the area as this could result in a lumpy liquid or cakey texture. Gentle tapping will allow the product to work but will not disturb the surrounding hair or flesh. In order to help with the decision making process, we are bringing you some of the best and the worst of the hair loss treatment industry. Four of the best selling and most popular hair concealers have been reviewed by our expert panel and will help you sort out the options available for treating thinning or baling spots. Work with hair styling products? Toppik hair products for men and women are an industry leader for selection and value. Their products are weatherproof and resist sweat, making them suitable for daily activities. There are more than twenty color matches just for adjusting the color of any hair or the coverage of thinning hair. A full line of products can be used in connection with the hair building fibers. Shampoos, conditioning treatments, and hair color are just a few of the products that can be bundled to realize cost savings on Toppik hair loss treatments. TOPPIK Hair Building Fibers, Black, 0.97 oz. Toppik features keratin and organic formulas that are biofriendly and provide much needed nutrients for struggling hair. Users favor Toppik for the natural look and feel of the end result because of the proprietary formula that favors ingredients found in nature as opposed to those created in a lab. Buying products in bulk or taking advantage of bundled product offers results in additional cost savings. Caboki boasts a natural product that they believe is safer than keratin. Organic products in the hair care industry are important because they will not interfere with co-occurring products or treatments for thinning hair. Despite their plant based formulas, Caboki received some customer concerns regarding a stickiness or residue left by some of their products. It is NOT a "paint for hair"
It is NOT a "shoe polish for hair"
Reclaim your confidence, click 'Add to Cart' to buy now. Positive feedback is generally received for the matching color options and the overall value of the products. A ninety day supply of the Caboki hair loss concealer is affordable, making it a great choice for hair concealing novices or those who wish to try their hand at self-application. Marketing to customers with busy or active lifestyles, DermMatch was one of the first in the industry to create a waterproof hair loss concealing product. The scalp match technology is an effective tool when applied with the specially designed applicator wand that spreads the product without smearing. Some users have experienced smudging due to having excess product on the wand, but this is an easily correctable problem and becomes less common with continued use. There are mixed reviews on the size of the want, which is on the smaller size but efficient for the purpose of concealing thinning hair. Gives men and women the thickest, fullest looking hair on Earth. Instantly. DermMatch looks thicker, applies neater is more natural and costs you less to use. Waterproof formula allows you to swim, sweat and brush your hair anytime. Botanical ingredients lift and assist growing hairs for spectacular fullness. Outperforms hair fibers, sprays and all other hair loss concealers. DermMatch may be unique in the hair loss concealer industry because of the background of the company. They entered the thinning hair market in the early 1990s after experimenting with various regeneration products. Although this group of dermatology experts were not intending to create a product to fight hair loss, that was to be the fate of their experimental phase. One drawback for users who prefer organic products is the lack of transparency in the ingredients used by DermMatch hair concealers. The Nor1 family has intended to create a product using a blend of modern technology and natural products. Keratin has a positive reputation in the healthcare and beauty industries. Nor1 capitalized on this feature and developed hair concealers and hair fibers that contain Keratin and other nutrients to encourage healthy hair regrowth. Nor1 customers claim to have success in reduced instances of hair breakage and hair loss. Additional claims of hair restoration have also been cited by some users of Nor1 products. Despite the largely positive feedback from customers, many users cited issues or concerns with the powder packages and developer formulas required to apply hair concealers. Among the chief concerns was the power quickly thickened or became clumpy and somewhat difficult to manage if not used almost immediately upon opening. Nor1 primarily focuses on hair loss treatments and has barely begun to branch out into other areas or alternative hair care products that can be used in conjunction with their concealers and hair fiber treatments. Whether you are in the market for hair loss products for yourself or for business purposes, take time to consider the topics discussed here and how that information meets your needs. There is no one single approach to hair loss products, and it may take some experimentation to find the best solutions for your particular situation. Remember to review each product individually before making a final conclusion. What works for one person may not necessarily work for your condition. Hair quality, texture, color, and overall health are primary factors for determining the best products for concealment treatments. Shopping for hair concealers and similar products may seem like a daunting task at the outset. We hope this brief synopsis was both helpful and educational. Follow these tips and get started on restoring your confidence by restoring the look and feel of natural hair.